The Evening Standard reported recently that luxury brands are set to benefit from a series of notable events taking place in London this year. From the Queen’s Diamond Jubilee to the biggest sporting occasion of 2012, notable high net worth retailers such as Burberry, Walpole and Selfridges are all hoping to see sales increase as they take part. Luxury department stores Harrods and Selfridges are also gearing up for increased footfall from the influx of international visitors expected in London around that time. Walpole, the body created to promote the British luxury industry, will hold a Jubilee Pageant along the Thames and is joining forces with the Queen’s bank Coutts and Getty, the photography agency, to host an exhibition of photos with the Queen – some of which have never been seen in public before. The exhibition will move around London, stopping at suitably luxury venues including Claridge’s in Mayfair. Previous blog posts have discussed the cachet of luxury British brands abroad; with the world’s eyes upon London during this key time, UK luxury retailers look set to profit from the celebrations. http://www.luxeinacity.com/blog/win-the-diamond-jubilee-egg-valued-at-100000, and the Johnie Walker Jubilee Decanter, http://www.luxeinacity.com/blog/diamond-jubilee-by-john-walker–sons-for-sale-at-100000. Both items are worth an estimated 100 000$. There’s an interesting report in The Wall Street Journal about the current state of the luxury property market in Hong Kong. According to the report, the market is seeing a surge in sales, and the prices are high. Demand for ultra-luxury property in Hong Kong has been growing strongly in the past few years, pushing prices in the segment to dizzying levels because of a scarcity of supply—particularly of townhouses and detached houses in urban areas—and the rising wealth of some buyers in mainland China looking for investment opportunities. Luxury-property prices in the city soared about 50% last year, compared to a nearly 30% rise in the market overall. China’s presence in Asia as a leader in luxury has been a long time coming, and has been reported on in the mainstream media with increasing frequency. In February it was reported that London’s luxury property market was experiencing an up-tick in sales. I blogged about it back then, but made no mention of foreign buyers because there was no evidence to suggest it. 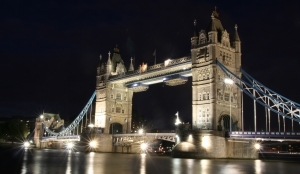 This report, however, says that Chinese buyers are flocking to London to buy luxury properties. Some of the mainland Chinese buyers who are thought to be driving up the price of luxury property in Hong Kong are also having an impact on high-end property further afield. China’s super-rich are particularly active in London, attracted by depressed property values and the decline in the value of sterling. Earlier this year, Hong Kong billionaire Joseph Lau, chairman of Chinese Estates Holdings, paid US$54 million for a six-story mansion in London’s Belgravia district that reportedly features its own cinema. I did, however, blog about the recent trend of Chinese people heading west in search of luxury goods, a trend which appears to be continuing. 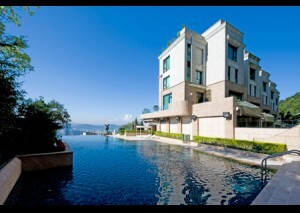 Do these developments constitute a “rebound” of the luxury market to previous levels? Hard to say. What we can be sure of is that the industry is recovering both globally and locally, and doing so quickly. Earlier this month I reported that London’s luxury commercial property market was heating up. The trend continues to this day. But now it is being helped by a spike in London’s luxury home prices, which is seeing the highest price increase since March 2008. The value of houses and apartments costing more than 1 million pounds ($1.5 million) rose 3.2 percent from January, the London-based property broker said in an e-mailed statement today. The annual increase was the largest since the market peaked in March 2008 and compares with an 11.5 percent advance in January. The pound’s 22 percent decline against the euro in the past three years attracted purchasers from Russia, Italy and Greece, in particular, Bailey said. Foreigners bought 45 percent of properties sold for more than 2 million pounds in the past year, according to the broker. Theta personalities typically own numerous properties across their homeland, and perhaps one or two smaller properties in other countries. Those properties are likely to cost <$1 million. So when we see that 45 percent of properties sold for >£2 million ($3 million), this tells us that these foreign buyers are likely Lambda personalities. Owning a luxury property in London is seen as an accomplishment, both personally and professionally. Consumer confidence in the UK is on the rise, which helps to explain why this is happening now. Things aren’t great, but they’re better than than they were. Lambdas are seeing an opportunity to re-assert their dominance and be among the first to polish their images with spashy purchases. Watch for similar trends in more traditional luxe markets such as Paris and Berlin. London could just be the start of a the new European luxe revival. Following up on my previous post covering the Contemporary Art Auctions that took place in London in June, I can happily note that positive predictions proved accurate. Despite several pessimistic estimates by market pundits, outcomes are above expectations. 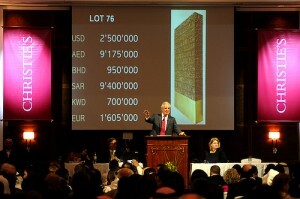 Prestigious auction house Sotheby’s sold 37 out of 40 lots for a total of £25,549,450 (almost $42 million). This is 92.5 per cent sold, a sell-through percentage which, according to Sotheby’s contemporary art expert Cheyenne Westphal, is “one of the highest ever”. The auction’s top price came for Andy Warhol’s Tunafish Disaster, which sold for £3,737,250 ($ 6.1 million). Ten of the lots at the auction sold for over $1 million. At Christie’s 35 out of 40, or 88 per cent, of lots were sold for a total of £31,063,350 ($31,778,604). This minimal failure rate of 12 per cent compares with the auction house’s best performances, when the market was on its height. Peter Doig’s Night Playground went for £3,009,250 (ca $5 million), fetching the highest ever action price for the artist. Phillips De Pury & Company sold 30 out of 39, or 77 per cent, of their lots for a total of 7,396,700. It set the sales record for an astonishing 18 artists including Jack Goldstein and Ashley Bickerton. However, despite these delightful outcomes, sales results of auctions are still substantially below what contemporary art auctions achieved when the art boom was at its height. As one could expect, this is not necessarily the fault of bidders, but largely due to consignors, who are unwilling to sell high-profile, high-value pieces in a weak market. Auction houses have also shown an unusual unwillingness to guarantee sellers minimum prices on lots. Considering this, as well the current financial climate, bidders were impressively keen, chasing artists rarely or even never seen at auction. Art advisor Wendy Goldsmith, quoted at Bloomberg.com, said that buyers “now focus on the available material. The market has stabilized. From now on things will improve”. An index complied by Knight Frank LLP revealed that London has lost its number one position of being the ‘world’s most expensive location for luxury homes’. Monaco is the successor, with the average price of its most expensive houses and apartments increasing by 30% to £3,762 per square foot in the second quarter from a year earlier. 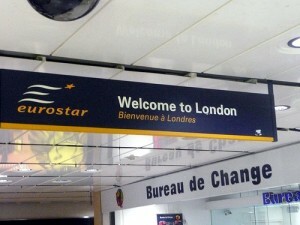 London’s increase was a mere 1.8% to £3,291 in comparison. Liam Bailey, head of residential research for Knight Frank, highlighted that this was due to job cuts by banks and the prospect of lower bonuses, was discouraging buyers. London’s property market has been in a steep decline, with even Buckingham Palace being affected to the tune of $100 million in depreciation. 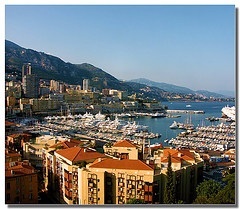 Monaco’s luxury property market has prices reaching approximately $7,000 per square foot. Monaco is also home to the world’s most expensive street, Avenue Princess Grace in Monte Carlo, where an apartment costs tens of millions. I found your blog today and love it, keep up the good work! Can we do mail order luxury? Experian’s annual poll of shoppers reveals that residents of Barnes, a leafy London inner suburb, now spend an average of £150 a year on mail order goods. Experian said the typical home shopper was now a wealthy, busy consumer who liked the convenience of buying “aspirational, lifestyle” items from mail order catalogues. Shoppers in Barnes fell into the “cultural leadership” group of consumers who were mainly well-to-do professionals living in exclusive suburbs in traditional family units, the report said. Described as “assured, secure and very discriminating”, they spent their wealth carefully on understated, classic goods and services and had little interest in the “brasher aspects of contemporary consumer culture”. As home shopping has moved upmarket, wealthy consumers have flocked to internet and catalogue shops in order to avoid having to prolong their working day by spending time shopping. As commuters, they prefer not to stay in central London after work to shop, and, given their professional status, are unlikely to take formal lunch breaks. Of course, this scenario isn’t unique to London, and so we can ask the more general question – how can the luxury retailer reach the people who don’t shop during the week, and who would probably prefer to stay at home at the weekend? Online and catalogue shopping might seem the obvious answer, but the Experian report implies that luxury items aren’t in the average Barnes resident’s online shopping basket. So much of the luxury purchasing experience depends on touch, taste and smell – olifactory components simply impossible to recreate outside of a physical shop – that it is questionable whether online shopping will replace the high street as the preferred purchasing mode entirely. Nevertheless, the growing demand for ‘masstige’ products means that consumers will increasingly turn to the internet in search of lower prices. The dilemma for luxury retailers, then, is this – do I sacrifice some of my physical customer experience in order to better serve the distance buyers? Or am I confident that my customers appreciate being able to touch, taste or smell my products, and so will always come to see me, even if it means getting a later train home or skipping lunch?